In A Brilliant Void, a new anthology of vintage Irish science fiction edited by Jack Fennell (Tramp Press, 2018), I saw some examples of a grammatical feature I’ve been meaning to write about: the Irish English suffix –een. Anglicised from Irish –ín /iːn/, it normally signifies littleness or endearment but can also disparage or serve other functions. Look up –ín in Ó Dónaill’s Irish-English dictionary and you’ll find such diverse examples as an t-éinín bíogach ‘the chirpy little bird’, an choisín chomair ‘the neat little foot’, an bheainín ghleoite ‘the charming little woman’, an méirín púca ‘the foxglove’, and an paidrín páirteach ‘the family rosary’. The –ín suffix is so productive in Irish, and Irish so influences the traditional dialects of English in Ireland, that it’s no surprise –een became established in vernacular Irish English, especially in the west. You probably know it if you’re at all familiar with Irish speech or culture; even if not, you may recognise some of the examples below. ‘Take out the blade that comes nearest to you,’ he said. She drew out the short blade. The Experimenter went out the next morning. About eleven, he reached the boreen that led to the slated house. He followed the boreen and saw a man going before him driving a donkey with creels of turf. 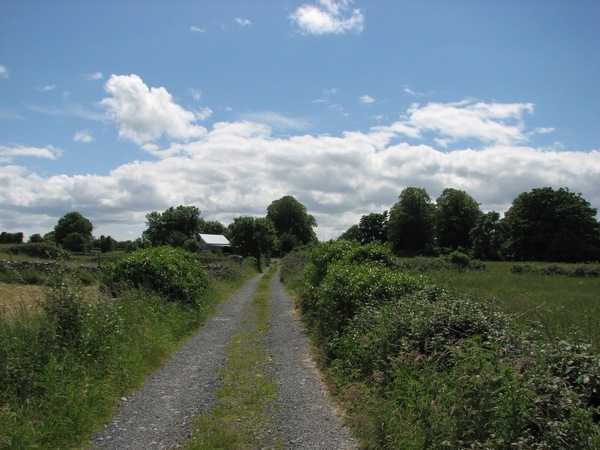 Boreen ‘country lane’, listed in some English dictionaries, is from Irish bóithrín ‘little road’, from bóthar ‘road’ + –ín. Walking along a boreen, you may encounter a boneen or bonneen ‘piglet’, from Irish bainbhín (banbh ‘pig’ + –ín). Animal names often contain the suffix, especially small or baby animals. 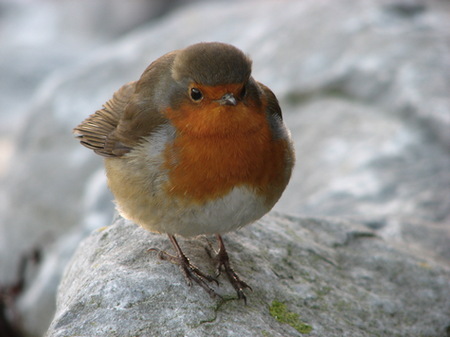 This glossary of Irish bird names has many. It’s rife in the natural world. Dolan’s Hiberno-English Dictionary contains entries for cúilín ‘little field’, kippeen ‘little stick’ (from Irish cipín, used when lighting a fire), móinín ‘grassy patch’, pairceen (Irish páircín) ‘small field’, puithín ‘puff of wind’, rúitín ‘ankle, knuckle, fetlock’ (< Irish rúta ‘root’), táithín ‘wisp, tuft, tiny fistful’, among others. All these Irish words have been borrowed into Irish English. While –een can be used to form nonce words (examples further down), it sometimes becomes lexicalised and cannot be removed without undoing the sense, e.g., smithereens (Irish smidrín ‘small fragment’); poteen (poitín ‘little pot’); spalpeen (spailpín), an itinerant labourer, a rascal, or a boy; jackeen, a certain type of Dubliner; and shebeen / sheebeen ‘unlicensed drinking place’ or ‘whiskey’, from Irish síbín, possibly from séibe ‘mug’ + –ín. Irish folklore has a phenomenon called the fóidín meara, also fóidín mearaí, marbh, mearbhall, mearaide, etc., where someone out walking steps on a piece of ground and immediately loses all sense of direction. It literally means ‘little sod of bewilderment’; fóidín is diminutive of fód ‘sod’. Decades ago, children were commonly asked to bring a fód (sod of turf) to school to contribute to its heating. Irish cuisine makes ample use of the suffix. The famous seaweed carrageen (carragheen, carrigeen, etc.) owes its name to carraig + –ín, literally ‘little rock’. You might put a dropeen of its jelly in your bowleen of soup. A toirtín is a small scone or cake (good with a suppeen of tae), a póirín a small potato. Drisheens and crubeens feature drisín ‘intestine’, i.e., a type of black pudding, and crúibín ‘little hoof or claw’, i.e., pig’s trotter. I'll have a dropeen of tea with a toucheen of milk, please loveen, and biteen of cake. Isn't he a grand ladeen? The suffix is widely used to form hypocoristic or pet names. Maureen is from Irish Máirín, from Máire ‘Mary’ + –ín. Similarly there is Noreen from Nora, Páidín (‘Paudeen’) from Páid ‘Pat’, and Colleen, an anglicisation of cailín ‘girl’, diminutive of caile. Flann O’Brien’s pseudonym Myles na gCopaleen (also Gopaleen) derives from Irish capaillín ‘pony, little horse’. People are often described metaphorically as animals. Cearc ‘hen’ gives us circín ‘small hen’, which is used figuratively to refer, as Dolan writes, to ‘a prim little girl who is too precocious for her age’. A líbín ‘minnow, small fish’ (from líob ‘wet rag’) can denote a person or thing that’s dripping wet. Bottheen, anglicised from baitín (dim. of bata ‘stick’), can mean a baton or, figuratively, a ruffian who might wield a small stick. Maybe those pipes were dudeens (dhoodeens, dúidíns) ‘short-stemmed clay pipes’. As you might guess, –een is frequent when addressing loved ones, whether it’s in names, pet names, girleen/ladeen and co., or in terms of endearment such as loveen, mavourneen (Irish mo mhuirnín ‘my darling’), and a stórín (‘treasure’ in vocative case). I call the dog "legeens"
Irish and Irish English have other diminutive suffixes, and they’re occasionally interchangeable: –óg, found in seamróg, etymon of ‘shamrock’, is from seamair ‘clover’ + –óg ‘young’. A tiachóg is a small bag or wallet. A lúidín ‘little finger’ is also called a lúideog; a scráidín ‘scrap of food; worthless little person or thing’ can be a scráideog. The vowel [i], especially in its narrow or thin variety, is particularly appropriate to express what is small, weak, insignificant, or, on the other hand, refined or dainty. It is found in a great many adjectives in various languages. Note that –ín has other functions as a suffix, and the semantic connection can be oblique. From smacht ‘discipline, order, control, rule’ we get smachtín ‘cudgel, club’. Paidir ‘prayer’ gives us paidrín ‘rosary’. From nóin ‘noon’ (or ‘nones’ in the ecclesiastical sense) we have nóinín ‘daisy’. it is generally used (often hypocoristically) of something small and implies endearment, e.g. Pegeen “little Peg”, Tomeen “little Tom”, boyeen, girleen, robineen, houseen /ho̤ʊʃiːn/ (with /ʃ/ for /s/ in the vicinity of a palatal vowel). The /ʃ/ for /s/ pattern is something I had long followed unconsciously until Moylan spelled it out. It’s always mouse → ‘mousheen’, face → ‘faceen’ with a ‘sh’: /feːʃiːn/. –een becomes “a morphological device for the expression of disparagement” (Weinreich 1963). Burke (1896) suggests that “the delicate flavour of contempt conveyed by this suffix cannot be adequately represented in English” . . . . Jackeen “native of Dublin” implies the special combination of conceit and urban slickness peculiar to (or attributed to) “little” citizens of the capital. From a rural-historical context comes squireen, which Joyce (1910) defines as “an Irish gentleman in a small way who apes the manners . . . of the large landed proprietors. Sometimes,” he adds, “you can hardly distinguish a squireen from a shoneen”, i.e. “a would-be gentleman who puts on superior airs (Ibid.). However, shoneen (Ir. Seoinín, from E John + –ín) has the more general and inclusive implication of obsequiousness, toadying and lack of principle; in a political and cultural context it can mean a “West Briton”, i.e. one who looks to Britain for norms and values. (A search for West Brit on Twitter shows its continuing popularity as an insult.) The pejorative connotations of –een are explicit in the political epithet sleeveen, which I wrote about a few years back. Priesteen ‘little priest’ can go either way, being used both affectionately and pejoratively, more often the latter, I think. The suffix is still popular in the west and seems to be especially favoured by rural-based monoglot E speakers, e.g. “…a pumpeen … a small wireen … a three-cord flexeen /flekʃiːn/ … make the chase [in the wall] a small biteen deeper …” (a Galway electrician’s instructions to his apprentice). The repeated use of the redundant small suggests that the –een termination has ceased to carry the sense of diminutiveness and that it is used so freely as to have become a verbal reflex without semantic charge. This conclusion is reinforced by the following from the same speaker: “[He was] wearin’ an oul capeen with a speckeen [Ir. speic ‘peak’ + –ín] an’ it fallin’ down over his faceen /feːʃiːn/.” Further –een forms from him are badgereen, birdeen, bullockeen, dogeen, fieldeen, fisheen, footeen, handeen, sandpiteen, shoe-een, whore-een. Collectively, the exx above bring to mind Mary McCarthy’s observation that diminutization of something “has the curious effect of at once deprecating and dignifying it”. The seemingly redundant use occurs in my own speech: If I’m offered an extra helping of vegetables or cake, I might reply, ‘I’ll have a small bitteen.’ Or I could refer to a baby’s ‘(tiny) little feeteen’. Here the suffix intensifies or underlines the littleness – a small bitteen is less than a small bit or a bitteen. This entry was posted on Wednesday, January 16th, 2019 at 3:29 pm and is filed under dialect, grammar, Hiberno-English, Ireland, language, morphology, naming, semantics, words. You can follow any responses to this entry through the RSS 2.0 feed. You can leave a response, or trackback from your own site. In a pub in Ballinamore, Co Leitrim, I was asked by a Cavan man to move over a smidgeen so we could see the telly (the President was addressing the Scottish parliament at that moment). I have a vague memory of an Australian saying ‘smidge’. 1. Shebeen has passed into several varieties of non-Irish English, notably South African English. Wikipedia has an article on the word. 2. The Irish suffix is also found in Irish family names, such as Dineen (English spelling), which are presumably derived from nicknames. Francis P. Dineen (1923-1991) told me that it means ‘little brown one’. Yes, shebeen is one of a modest set of Irish words that have taken root around the world. Unsurprisingly, it’s also used in Scottish English. The OED dates its South African use to the beginning of the 20thC. The use of the suffix in family names – and place names – is an area I didn’t get around to exploring. Dineen, of course, is also the name of a great Irish lexicographer. Your mentioning of carageen reminds me of the cough medicine of my childhood, Bonnington’s Irish Moss, otherwise known as Pectoral oxymel of Carrageen, apparently made from an extract of seaweed. What would be the connection to ‘little rock’? The connection is not direct. The seaweed so called because it was (and still is?) abundant in the sea off the village in County Kilkenny called an Carraigín, literally, ‘the little rock’, in Irish (and Carrigeen in English). The name came about indirectly, as David says. Carraig ‘rock’, spelled variously, is a very common place-name constituent in Ireland, and at some place called Carraigín ‘little rock’ the seaweed was historically harvested. It’s unlikely to be in Kilkenny, though, as that county has very little coastline. Waterford or one of the western counties is more likely; this brief history suggests Carrigan Head in County Donegal in the north-west. That spalpeen in the Patterson poem is a nice example of the ‘rascal’ sense. When my son was born, no fewer than 4 midwives described him as a "lovely little maneen". My father often says ‘ the sizeen of the childeen’ when looking at a small child . Minuteen – ‘I’ll rest for a minuteen’. Tuneen, poitín, craythureen, smaleen, girleen, rogueen, dote-een, anyone's name, leanbh-ín, houseen, actually, now that I think of it, literally everything! My parents have a neighbour, originally from Galway, who adds it to 90% of nouns. Did a quick survey in the staff room.. commonly used or heard ones were biteen, dropeen, pieceen (peesh-een), dogeen, girleen, noseen (no-zheen). Others: Tie up your laceens (laish-eens); that's a cute little shopeen; my legeens are tired. Biteen, Housheen, Girthileen (the correct & only pronunciation of Girleen), Birdeens, Swaneens (for cignets), Noseen (for a baby's nose – many things are een when attached to a baby because wudja look at her little smileen). And to my little brother's name, even though he is 32. In a college presentation a classmate used the word magneteen. 6 year old son was a bit put out when I called his cousin maneen recently, pointing out that he was my maneen. New York City English has the common noun spaldeen. A Spalding Hi-Bounce Ball, often called a Spaldeen, is a rubber ball, the size of a tennis ball without the felt. [….] These balls are commonly used in street games developed in the mid-20th century, such as Chinese handball (a variation on American handball), stoop ball, hit-the-penny (involving trying to make a penny flip on a sidewalk), butts up, handball, punchball, half-rubber, and stickball (a variation of baseball). The term arose from a New York City-accented pronunciation of Spalding, the sporting goods company that produced the balls. The name has become so common that Spalding now uses it in marketing, and it is now a registered trademark. Wikipedia’s explanation of the pronunciation of the word is not right. 3. Replacement of /ŋ/ (agma) by /n/ (I don’t know whether the agma, standing for the velar nasal, will appear here; many websites can accommodate just the twenty-six letters of the English alphabet). Being a native of New York City and having lived there for most of my life, with training, undergraduate and graduate, in linguistics, I can say as a participant-observer that nothing in the synchronic or diachronic phonology of New York City English could account for any of those changes. If New York City English phonology were relevant here, the final syllable of the common noun (and of the company’s name) would be */diŋg/ (the third phonetic symbol is agma). In connection with /ŋg/, see “The Pronunciation of ng as Taught in a New York City High School about 1962” (American Speech: A Quarterly of Linguistic Usage, vol. 49, 1974, pp. 159-160). Rather, the word spaldeen arose in New York City presumably among youngsters of Irish ancestry who folk-etymologized the last two phonemes of the company’s name as the Irish English suffix -een, which would be unsurprizingly semantically since the ball is smallish. Notice that I do not mention the Irish suffix -ín. By the time the ball went on sale (in 1949), Irish was largely dormant among the Irish-origin population of New York City, especially among youngsters. The folk etymology must have therefore involved the Irish English suffix rather than the Irish one. That’s a very interesting example, David, thank you. The folk-etymology hypothesis seems plausible. So is a pinteen smaller than a pint or an affectionate way of referring to it? How often do you use ‘ye’ and in what contexts? A pinteen is the same size as a pint; -een in this case is an endearment suffix, a way of marking affection for an enjoyable activity. I use ye regularly in my everyday speech among friends and family, and I could also use it among less well known people in informal situations. Here’s my post on ye, youse, yiz, and related pronouns in Irish English speech. I had a vague feeling I’d read that post. Indeed, I commented several times. Arleen ~ Arlene, Carleen ~ Carlene, Charleen ~ Charlene, and Darleen ~ Darlene. 2. the name was coined in English with the Irish-origin English hypocoristic suffix -een ~ -in. 3. the name has no Irish connection of any kind. Since given names are the segment of the vocabulary over which members of the public have the greatest control, one may have to ask that question of each token of each of the names (rather than of each name) — a task that could take years to answer (if the information is at all ascertainable), but it should at least be asked. Yes, it’s a good question, and the answer in some cases might not be straightforward. The alternative -eog/óg suffix is predominant in Donegal Irish where it’s added profusely to everything. Thanks, Gearóid. Wee ‘small’ is also popular in Ulster English more generally. Having just seen Martin McDonagh’s The Cripple of Inishmaan I couldn’t help but think of this post throughout, it’s littered with creative uses of this feature. The only one that I can recall without looking at the script is the character called Johnny-Pateen. The other thing I found interesting, though I don’t know if it’s authentic or merely an actorism, was that the suffix was occasionally so unstressed that eg “bitteen” sounded like “bitten”; it’d be easy to understand it going that way in a local dialect where it’s becoming ubiquitous and semantically bleached. Thanks for reporting on this. I’m not a big fan of McDonagh’s work, for the most part, but he makes good use of Irish English dialect features. The unstressed pronunciation you describe sounds interesting, and is not something I remember hearing. Whether it’s an actorism or something idiolectal/subdialectal is an open question. All my Irish cat-loving friends: puss -> pusheen. Puisín may be one of Stan’s “fixed examples”, but I think it’s unclear which came first, even given kitten = piscín. Oh, we know, we know :D It occurred to me later to wonder whether kit -> kitten was a formation of the same sort.